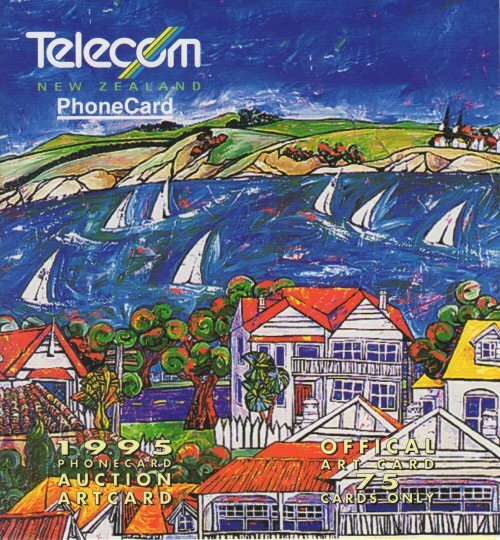 This card was produced for the second Telecom Phonecard Auction. 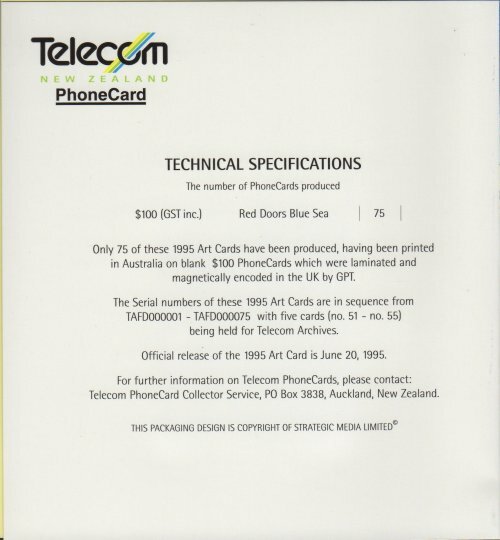 There were only 75 produced. 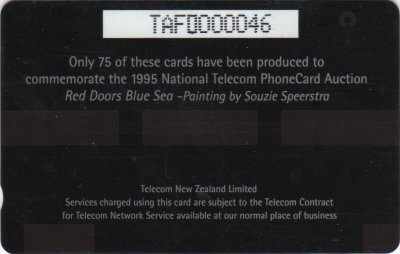 Telecom held five cards in their archives, 50 were auctioned and 20 were held by Telecom for future use. 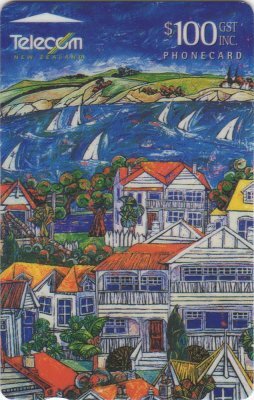 The cards were sold in the folder illustrated below.